Many sites recorded good chick production last autumn and the subsequent increases in national average bird density means we are hopeful about what will be seen this spring. 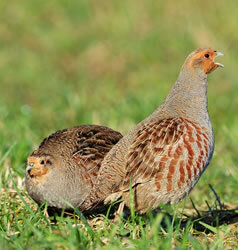 But we need more farms and shoots to get involved if they have any remaining wild grey partridges. In return, the PCS offers a targeted and effective method for long-term partridge conservation by identifying management factors that can be achieved on the ground.